Don Carr Rodgers, age 71, passed away Wednesday November 7, 2018 at Regional Hospital in Burien, WA. Don was born in Salt Lake City, Utah on Oct. 9, 1947 to his parents Don Keith Carr and Betty Elaine Carr (Alvey). Elaine later married Joseph W. Rodgers in 1950 and two brothers joined the family, Joseph and Ward Rodgers. Don grew up in the Graham-Spanaway area and graduated from Bethel HS in 1967. 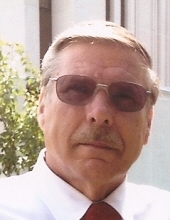 Don served in the US Naval Reserves and Active Duty Navy from 1967-1969. Don began working at the Pulp and Paper Mill in Steilacoom, WA in June of 1969 and finally got his dream job as the Engineer of the spur line railroad until the mill closed on Dec. 23, 2000. Don was an active member of The Church of Jesus Christ of Latter-day Saints. He married his sweetheart, JoAnn Britson in the Logan Temple in Logan, Utah on July 30, 1974. They raised three wonderful daughters, Jennifer, Christine and Susan. The family moved from Tacoma to Gig Harbor, WA in 1978 and lived in the same house for over 40 years. Don loved collecting railroad memorabilia, going to garage sales and museums, but most of all spending time with his family. Don was preceded in death by his father's Don Keith Carr and Joseph Ward Rodgers. He is survived by his wife JoAnn, daughters Jennifer and David Shong, their children Austin (Madeline- wife), and Sarah; Christine and Jeremy Miller and their children, Emma, Joey, Sophia and Lexington; Susan and Tyrel Mullendore and their son Grayson. He is also survived by his mother Elaine Rodgers, brothers Joe and Debbie Rodgers, Ward and Rebecca Rodgers and their children, Cameron, Courtney and Whitney. To send flowers or a remembrance gift to the family of Don C. Rodgers, please visit our Tribute Store. "Email Address" would like to share the life celebration of Don C. Rodgers. Click on the "link" to go to share a favorite memory or leave a condolence message for the family.